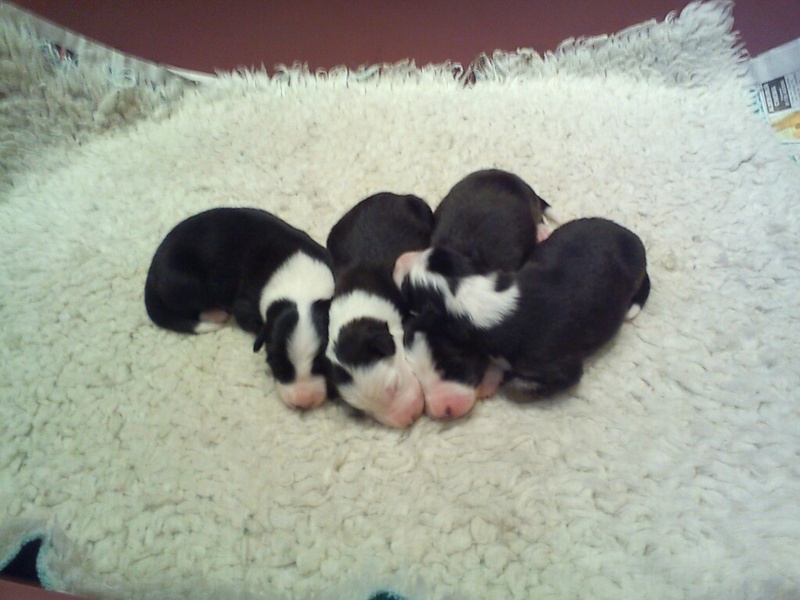 Here is a photo of Pie and Mel’s babies, I think they look like Pie already, fat and gorgeous :)! Smita sent me a lovely photo of Harley, a GSD puppy some of you will have met on a Thursday morning! 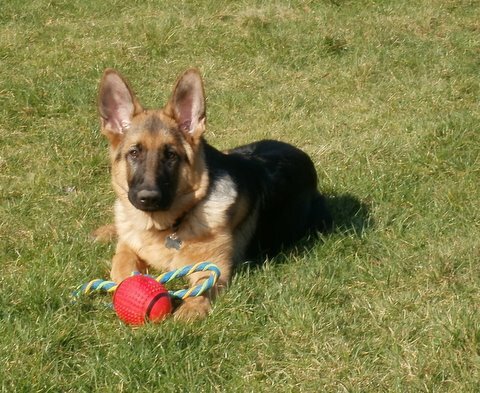 Harley is growing so fast, he is going to be a really big lad and is already a great example of GSD with an amazing temperament, a real credit to Smita and the breeder! Thanks to Graham for another brilliant photo of JJ and you! 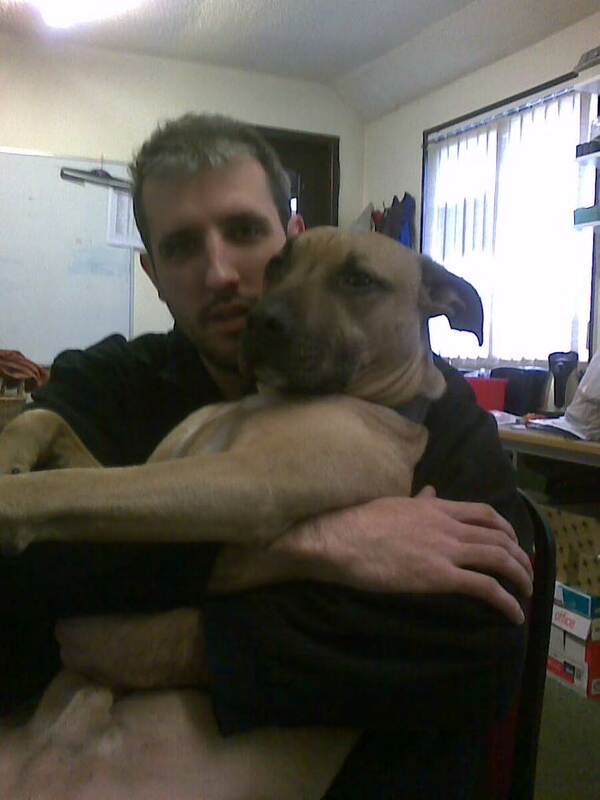 JJ is another ambassador for his breed, he is such a big softy! I have got behind with the blog again this week, I had a small eye operation that went really well but I had booked some time off work and Annie came over to drive me back and forth! Amazingly well-timed time off with the weather we have had this week, Annie and I had a lovely time sitting in the garden soaking up the sunshine! The worst thing that has happened is I broke my phone and being off work I hadn’t done a back up of my diary!!! For anyone that has an appointment booked could you ring me please to confirm, in case I have forgotten your appointment? Beautiful puppies, hope they all find wonderful homes. Hope that Betty is doing well? Megan (Bettys sister) has become a wonderful dog. Though extremely long haired and scruffy looking. All the best to you. We always look forward to reading your blog. « Spartacus arrives to help train dogs! New photo’s and other news!